In its first 10 years, REDD+ has inspired much enthusiasm and hope for a global transition away from practices that threaten tropical forests, toward lasting climate mitigation. Despite unexpected challenges and a funding pot that lacked the depth to trigger global mobilization, REDD+ is beginning to deliver on its potential – if more slowly than expected. A new book, Transforming REDD+: Lessons and new directions, which has launched at this year’s Conference of the Parties (COP) of the UN’s Framework Convention on Climate Change (UNFCC) in Katowice, Poland, takes stock of the efforts taken so far to reduce emissions from deforestation and forest degradation and enhance forest carbon stocks (REDD+) at multiple scales. At the 2007 UNFCCC COP in Bali, Indonesia, REDD+ emerged on the global scene with the promise of building a bridge toward a carbon-neutral economy – quickly, easily and cheaply. Why did REDD+ not turn out as expected? 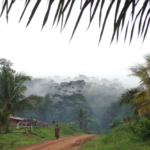 Lack of finance is a major reason, specifically the fact that results-based payment – rewarding developing countries in exchange for keeping and/or improving forest carbon stocks – has not been the driving force it was meant to be. 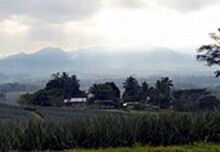 REDD+ was meant to become an integral part of a global carbon market, but this market never materialized. Instead, most funding comes in the form of development assistance from a small handful of donor countries, and some developing countries are shouldering a big part of the costs to put REDD+ into action. 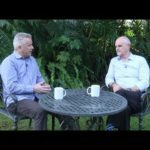 “There are also a lot of different, sometimes conflicting ideas about REDD+,” said Christopher Martius, coordinator of the Global Comparative Study on REDD+ and a co-editor of the book. “Making a distinction between REDD+ as the outcome (reduced emissions) and as a specific framework (the activities) to achieve that outcome could clear up a lot of confusion. 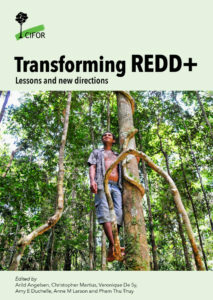 Click to access the book, Transforming REDD+: Lessons and new directions. Many observers are now asking whether REDD+ has achieved its intended aims of reducing deforestation and forest degradation or if it has improved local livelihoods and forest governance. To answer these questions, the authors undertook an analysis based on 10 years of research and almost 500 scientific publications from GCS REDD+, and also drew on the wider literature, on partner contributions, and on policy debates at global, national, subnational and local levels. With more than 350 ongoing REDD+ projects and programs, there are now enough data – albeit far from perfect – to draw first conclusions about the kind of local impacts REDD+ initiatives have had on forests and communities. National and subnational forest conservation policies have shown some positive impacts on forests, but no particular policy instrument stands out as a “silver bullet”. Enabling conditions such as political commitment, national ownership, inclusive decision-making and available results-based funding need to be in place and sustained for REDD+ to be transformed. Many countries’ Nationally Determined Contributions to the 2015 UN Paris Agreement on climate change, and national sustainable development initiatives such as green growth strategies, do recognize the role of forests in mitigating climate change. However, as Pham Thu Thuy, a co-editor, and CIFOR scientist and Vietnam country director, said, these policies and green initiatives will not be successful in achieving their intended goals if they do not have clear and effective policies and measures to address drivers of deforestation and degradations. Read more: What is REDD+ achieving on the ground? The authors show that REDD+, once envisioned as a tool for transformational change, has itself been transformed. They point out that, while REDD+ has evolved into a variety of interventions, and stakeholders may differ in their preferred vision of how REDD+ evolves, all can agree that the core objectives must not be substantially altered or diluted. “Arguably, the world cannot reach the 1.5°C or even 2°C targets without massive reductions in emissions from deforestation and forest degradation and increases in forest carbon stocks,” the authors wrote. 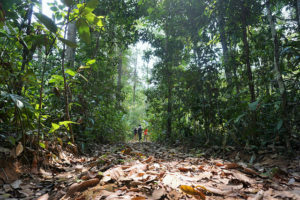 In order for REDD+ to be an effective ‘cure’ for the ‘illness’ of deforestation and forest degradation, it will need to adapt further – to a new global climate change architecture, rapidly shifting global politics, and different expectations from donors, REDD+ countries, the private sector and local communities. “REDD+ needs a clear theory of change – a road map towards a carbon-neutral economy through a transformation of business-as-usual practices,” Martius said. The authors lay out key pathways to achieving an effective, efficient and equitable REDD+, including emphasizing the positive side-effects of REDD+, and shortening the road to recovery through experimentation and bold approaches. Results-based payment will continue to play a large role, but national and subnational policy reforms need to go beyond this approach to focus on issues such as land-use planning, tenure and agriculture and address the variety of drivers and problems in their specific national and regional circumstances. And while international finance can give a nudge in the right direction, ultimately countries must set the economic incentives for state and private actors to align their activities with green development strategies. “Some reforms can be win-win for the economy and environment, such as cutting subsidies to deforesting crops and adding forest criteria in the fiscal transfers from central to local governments, as India has done,” Angelsen said. Looking at multi-level governance and coordination, the authors also conclude that some problems simply cannot be solved through better coordination. “In reality, those who deforest have often been more effective at coordinating their efforts than those who support REDD+ or similar initiatives,” said Anne Larson, a CIFOR principal scientist who leads the research on multi-level governance in GCS REDD+. 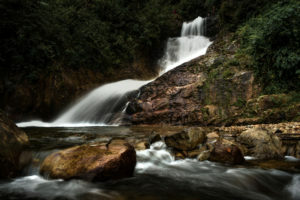 Brazil, Costa Rica, Ethiopia, India and South Korea have all rolled out bold forest conservation and restoration initiatives, and the authors say more countries need to do the same. 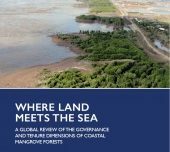 Nationwide initiatives with a pro-forest narrative can cultivate the political and intellectual ownership needed to build coordination across ministries and effect long-term impact. The authors also call on countries to be brave and assess impacts. Clear data and information are critical to every stage of REDD+, from planning and policy design to implementation and evaluation. But independent evaluations can be risky, as disappointing short-term evaluated impacts in a learning phase could jeopardize future financing. For this and other reasons, there is a persistent lack of data on how various drivers of land-use change affect forest emissions. Finally, the authors review four emerging strategies that could help achieve the objective of reducing emissions from the forest and land use sector – with some fine-tuning. These are: zero deforestation and other private sector commitments, climate-smart agriculture, jurisdictional approaches to low-emission rural development, and forest landscape restoration. The book devotes a full chapter to each of these approaches, examining evidence of impact and drawing lessons for a more complementary, streamlined approach. 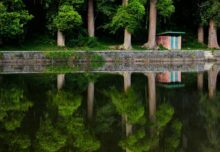 “Focusing on a positive narrative about how forests contribute to economic development and climate goals can galvanize support and generate new momentum,” he adds. This research was supported by NORAD, BMUB, IKI and FTA. This research forms part of the CGIAR Research Program on Forests, Trees and Agroforestry, which is supported by CGIAR Fund Donors.